real time. It has mutiple uses and benefits which various teachers have shared to make it an effective tool for classroom. The single response activities in Socrative allow students to reply to your prompt or question without entering their names. In a single response activity you verbally pose a question or prompt to your students and they respond with a word, sentence, or multiple choice selection. The anonymous reply format is useful for surveying students when you’re asking them to submit responses to questions or prompts that they might be reluctant to share in an open format. The quiz-based activities in Socrative allow you to give your students short quizzes that include multiple choice, true/ false, and short answer responses. The new option to include pictures in your questions allows you ask questions about diagrams, charts, and any other item that you have an image of. You can set the quiz to give students immediate feedback on the multiple choice and true/ false questions. You can see the results of the quizzes in real-time and download a report of all students’ answers when all of your students have completed the quiz. A fun way to use Socrative is to host a team "space race." A space race is a competitive format for quizzes. Space race can be played as a team or individual activity. Each correct answer moves a rocket ship across the screen. The first person or team to get their rocket across the screen wins. Your space race questions can be pulled from a quiz that you have stored in your Socrative account. 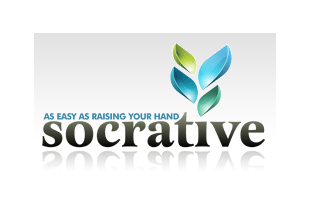 After exploring how teachers are using it for their classrooms, here is a list of ways in which Socrative is being used for formative assessments with the students.